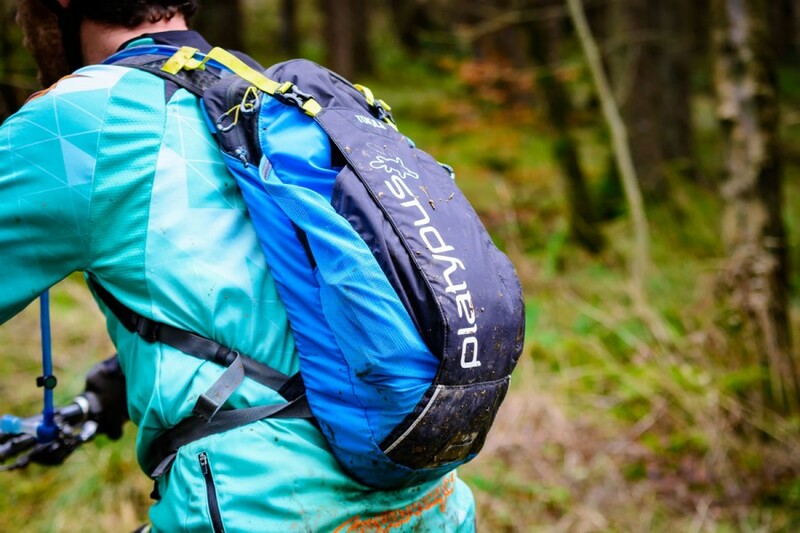 The Platypus Tokul 8.0 XC is a mid-sized pack, aimed at riders heading out for a longer ride than a quick one or two-hour thrash round the woods (where everything can be stashed on the bike or in a jersey pocket or two), and those off out for a Big Day Out in the hills where a larger pack with more space for cake is necessary. The gear capacity is 6 litres and the bladder three – for a nine litre total (surely it should be called the Tokul 9.0 then?). Ideal for those afternoon rides. 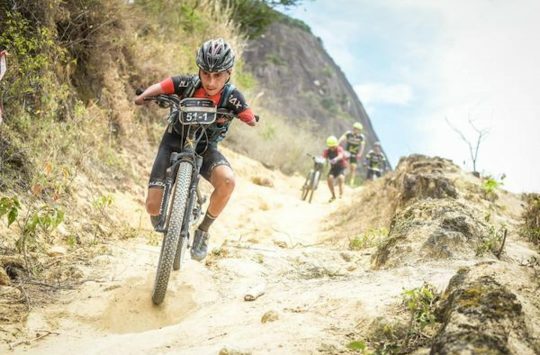 As with most mountain bikers I know, I am definitely guilty of taking more with me on a ride than necessary – the toolkit, mech hangers, pumps, spare clothes, waterproof, snacks, etc., soon add up, so I usually ride with a bigger pack than the Tokul. Therefore, I was slightly apprehensive that I’d either have to leave something behind, or spend ages cramming it all in and ride with an overstuffed bag (which can lead to an unbalanced feeling). 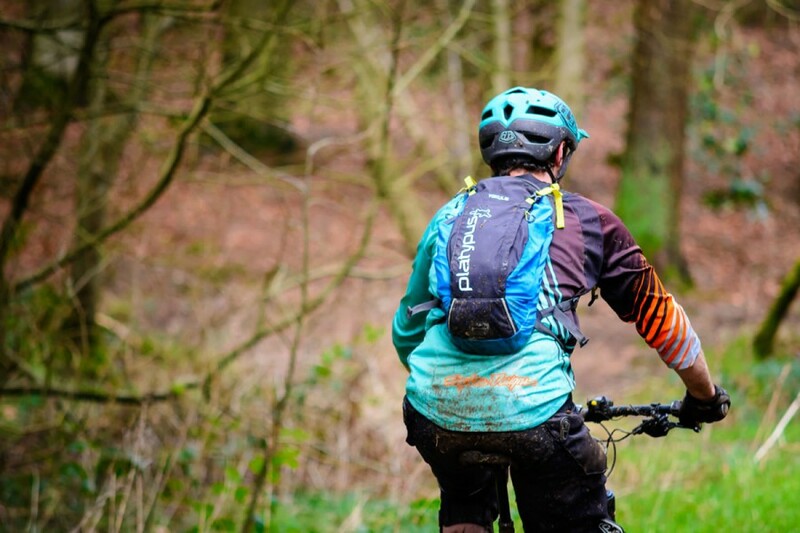 I needn’t have worried as I found it to be considerably more versatile than I first thought and it has accompanied me on everything from a day riding laps at a gravity park (where you are never too far from the car park) to rides of up to three hours or so. 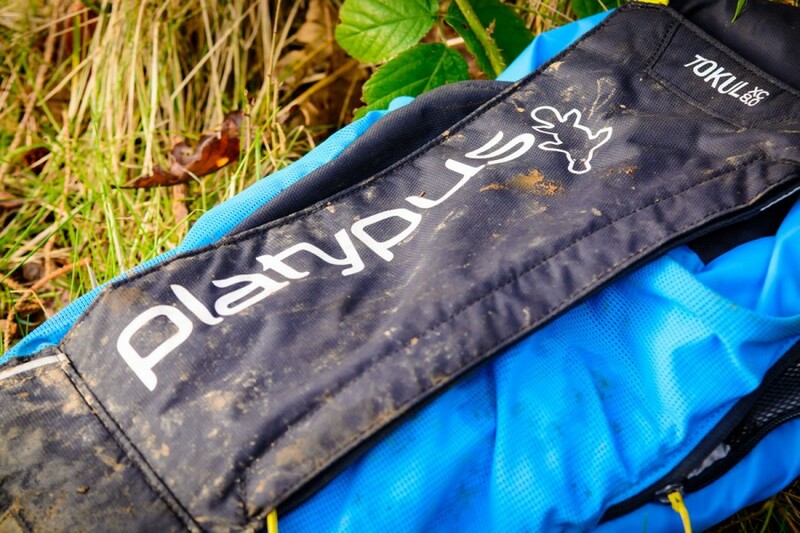 There are numerous well sized mesh pockets to stash smaller items (including a more secure zipped pocket for your keys, wallet and phone), a couple of pump sleeves (both comfortably big enough for a Topeak Mountain Morph), and a well-thought-out front stash pocket that is intended for a helmet but works equally well for a waterproof or knee pads (but not both together). The annoyingly fiddly bladder could cause frustration. The three-litre bladder has an unusual (but low profile) ziplock opening that works absolutely fine and hasn’t leaked yet. It is very easy to open and close, whereas some screw lids can be fiddly, particularly if your hands are cold and wet and you’re trying to refill mid-ride. 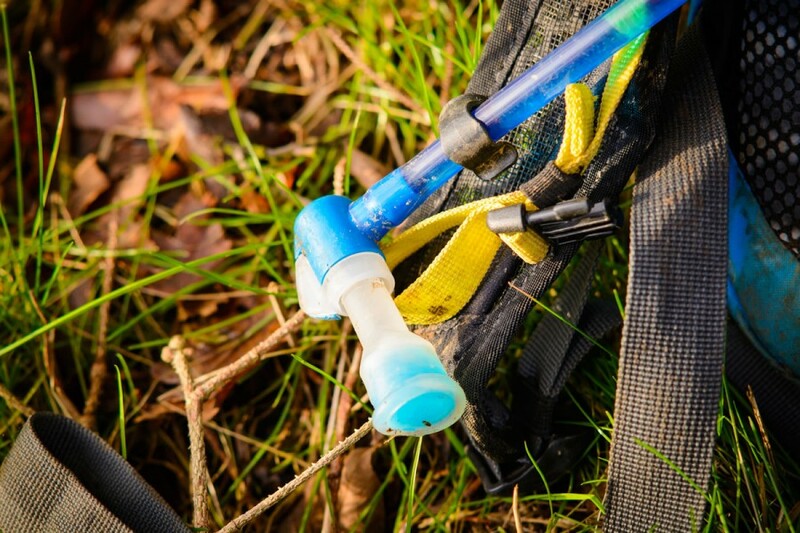 One other nice touch is the quick release hose – it detaches with a click (and seals the bladder) to enable easy refilling, meaning no annoying unthreading of the hose through the pack to get the bladder out. Unfortunately, the bladder isn’t reinforced like the Osprey ones I’ve used in the past, and it can be tricky sliding it down into its compartment if the rest of the bag is fairly full. Also, the method of fixing the bladder to the top of the pack takes some getting used to – there are two clips to attach, rather than just one central hook. Plenty of room inside the pack with a plethora of pockets. My main gripe with the pack is that it isn’t all that comfortable. The shoulder straps are nicely padded, but no matter how much I fiddled with it the pack never seemed to sit in one place. 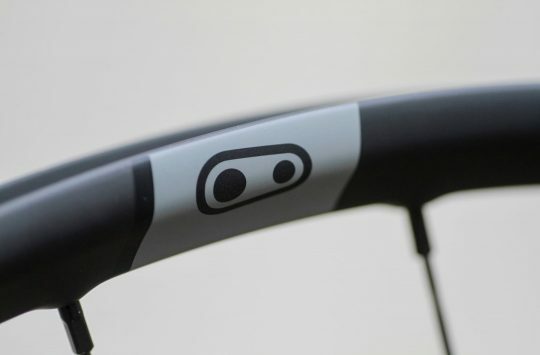 Because it’s quite short in length, it kept on riding up my back (with the waist strap sitting just under my ribs), and if I loosened the shoulder straps to let it sit lower it just bounced around, particularly on steeper descents. Also, the chest strap isn’t elasticated like some are, which sometimes led to a feeling of constriction. If you are much under 6ft or have a shorter torso, the fit may not be an issue for you, so if you can, try before you buy. 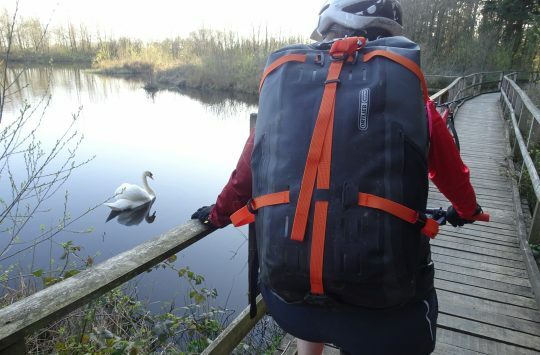 Overall: It’s a surprisingly roomy and solidly constructed pack with some nice features, but it is let down (for me) by the poor fit and the fiddly bladder.